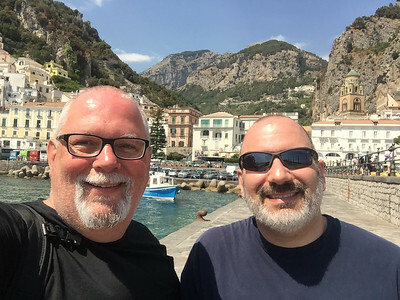 This year's vacation took us on a fantastic cruise from the west coast of Italy, around the boot, to the shores of Montenegro and Croatia. Then we topped it off with a three-night stay in beautiful Venice! The Sea Dream I, sailing from Civitavecchia (Rome) to Venice. A total of 95 passengers and a crew of 105 - needless to say, the service was exceptional ! 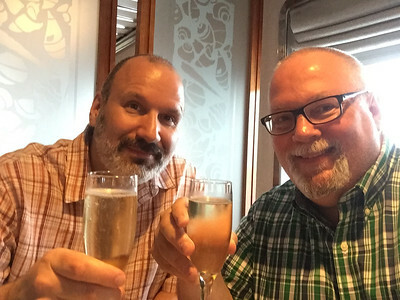 Nothing signals the start of vacation more than a champagne toast! Sailing from Civitavecchia, Italy to our first port in Capri. The port town of Marina Grande in Capri. Where via Camerelle meets via Tragara, a relatively easy 20-30 minute walk from the town of Capri down to Belevedere Tragara. 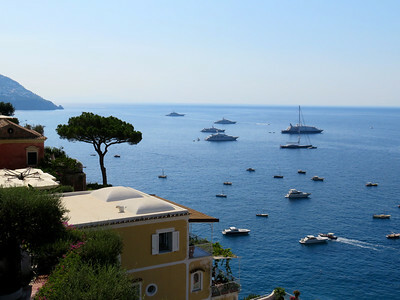 View from Belevedere Tragara on the southern side of Capri, overlooking Marina Piccolo. 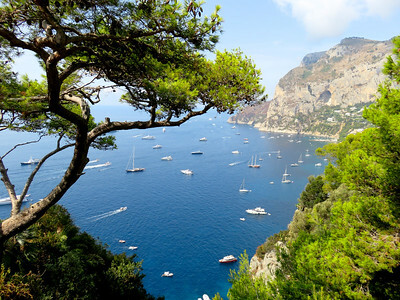 It’s a nice walk from the main town of Capri. 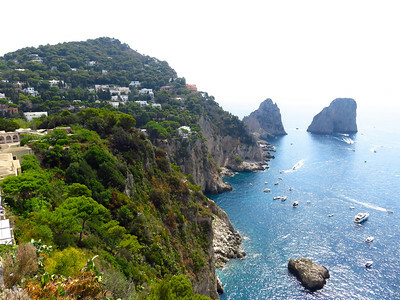 View of the Faraglioni Rocks from the Giardini di Augusto on the southern side of Capri. 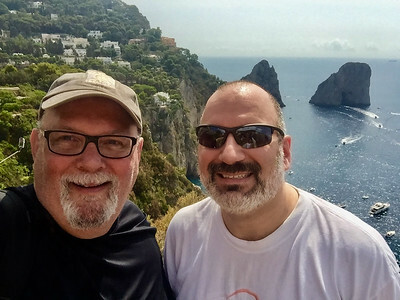 After a long sweaty hike up to the lookout point with the Faraglioni Rocks in the background. 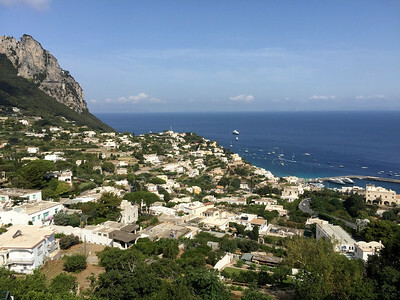 Looking north from the town of Capri over the Bay of Naples with the road to AnaCapri on the left side. The Sea Dream I is anchored in the distance. 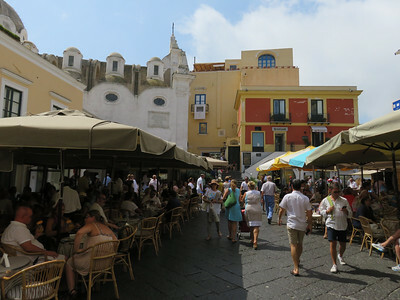 The always bustling Piazzetta in the center of Capri Town. 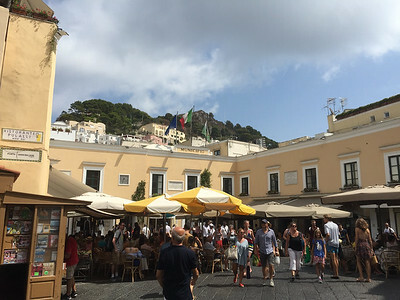 The always bustling Piazzetta in the center of Capri Town. We never miss an opportunity to sit, grab a cold drink, and people watch. 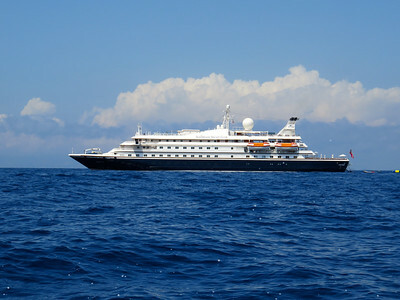 Anchored off the coast of Capri... enjoying an afternoon swim. Street signs on an island where everything is a footpath and there are almost no cars. 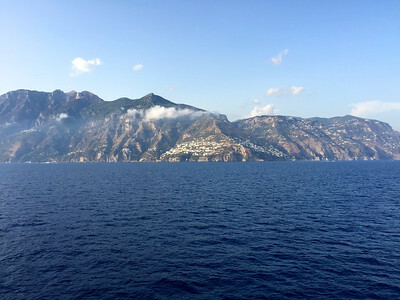 Sailing south along the Amalfi Coast, between the towns of Positano and Amafi. 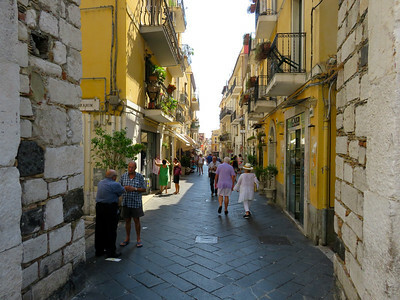 Amalfi, the largest town along the Amalfi Coast between Sorrento and Salerno. 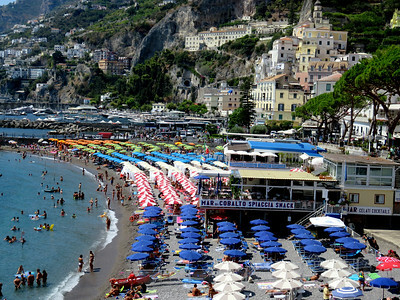 The town of Amalfi on the Amalfi Coast. 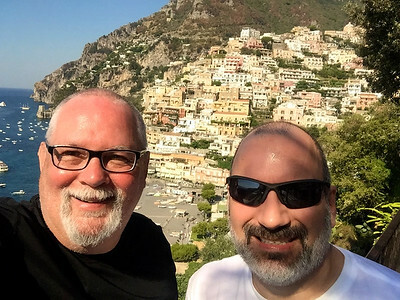 On the dock in Amalfi, heading up to the town of Ravello (at the top of the mountain behind us) for the day. Amalfi. 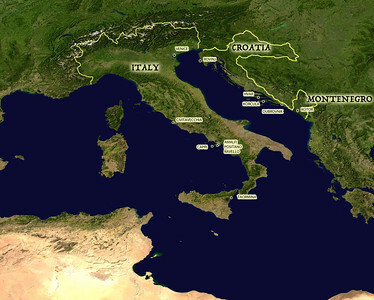 Not white and sandy like we tend to think about beaches, but Italians will plant an umbrella (or several 100) almost anywhere the ocean meets the shore. 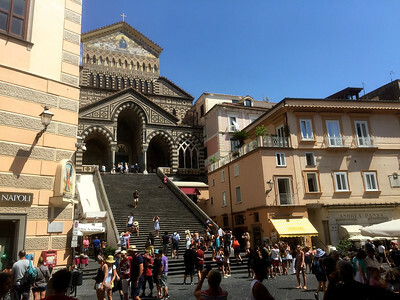 The Duomo in the main piazza in Amalfi. 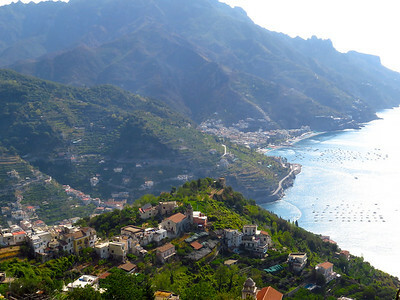 View of the Amalfi Coast, looking south from the mountaintop town of Ravello. 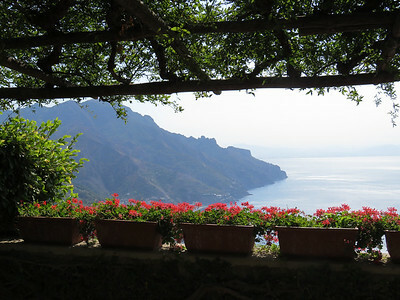 Looking south along the Amalfi Coast from Ravello. 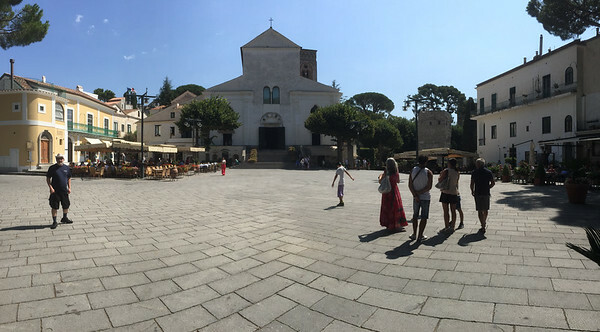 Piazza Centrale and the Duomo Ravello in the town of Ravello. 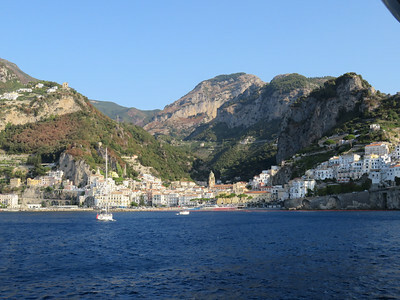 Great town, often missed because it’s above the Amalfi Coast and not on it. Check it out! 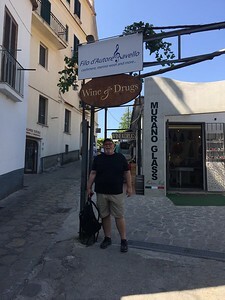 Ravello has some interesting shops! 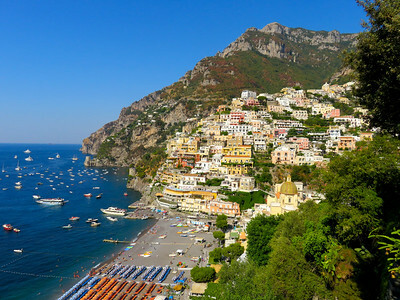 Next stop - Positano, generally considered to be the most beautiful town on the Amalfi Coast. Having been here several times, we would not argue the point. 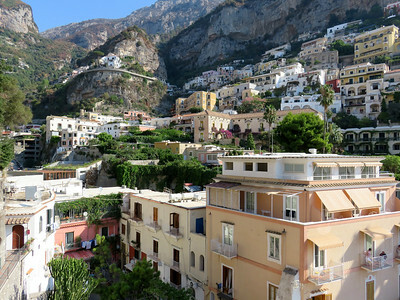 The beautiful town of Positano on the Amalfi Coast….an engineering marvel, for sure. 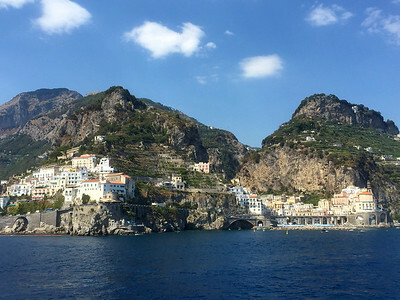 Having done both, we can say without hesitation that exploring the Amalfi Coast by boat is infinitely easier and less stressful than doing so by car. 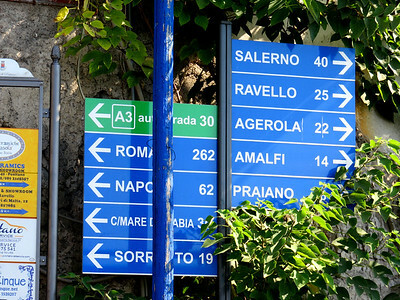 14km to Amalfi is 8 twisty curvey white-knuckle miles that might take you an hour or more by car. 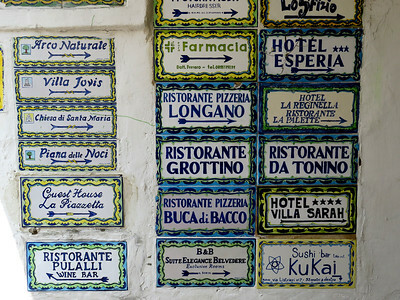 Exploring the town of Positano. 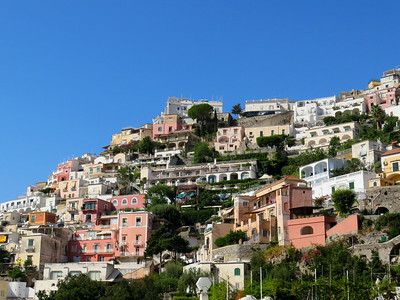 There are no roads to reach the upper levels of Positano — just footpaths and endless stairs (and spectacular views). 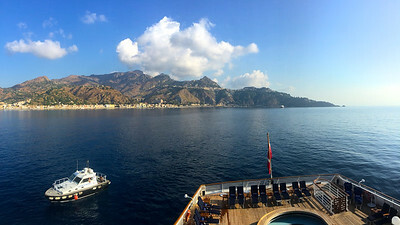 Looking south over the Mediterranean Sea from Positano (with the Sea Dream I anchored in the distance). 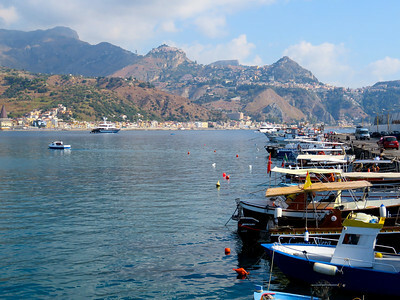 Sailing south, we arrive at the port town of Giardini Naxos on the southern side of Sicily. 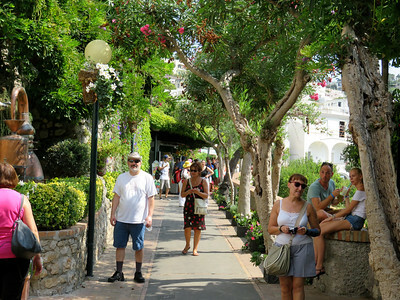 The town of Taormina (our destination) is on the mountainside in the background. Piazza Duomo in the town of Taormina, Sicily. 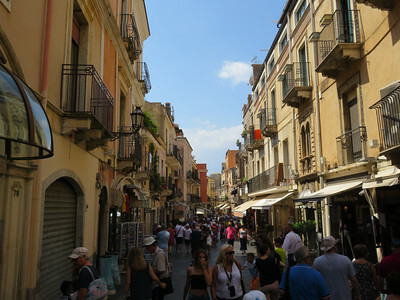 Corso Umberto, the main route through the center of Taormina. 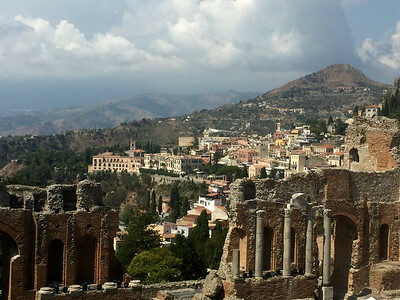 The Roman Amphitheater on top of the mountain with the town of Taormina in the background. 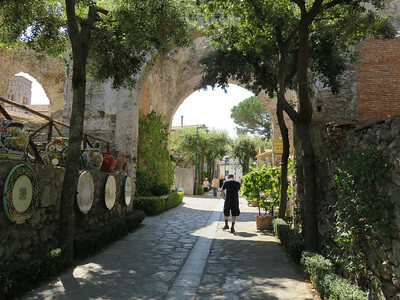 The Roman Amphitheater in Taormina, Siciliy. The southern coast of Sicily with Taormina in the background. Sailing into the Bay of Kotor (Montenegro). Sailing through the narrow passageway from the Adriatic Sea into the Bay of Kotor (Montenegro) past these two small islands. The Bay of Kotor in Montenegro is dotted with small towns and villages.